Yes, I was there 76-81 and they were the colours. Keresforth Lancaster was appropriate for me, being born in Blackpool I suppose. Did he have ginger hair and teach geography? Yep. Lightish ginger colour and definitely taught Geography. Holgate was his first teaching post after doing his degree in Geography at either Newcastle or Durham University, so I'd think it would be from approx 1964 ish when he was at Holgate. He died in 1985 aged only 42, and had been headmaster at a Primary School in Skelmersdale prior to then. I've found 3 photos with him on that I'll upload as soon as I've scanned them in. last time I saw Keith I was refereeing a reserve match at StJames Park. Keith was in charge of Newcastle reserves. Spoke to him briefly but don't think he remembered me from Holgate days. Found these three photos from Holgate at my Mum's today. My uncle John Taylor is the teacher on each photo wearing glasses. No info on the exact years, but he will have graduated from Uni no earlier than 1963 or 1964 so likely after that. I made reference earlier to some notebooks that my Uncle kept which detailed matches played over several years. Unfortunately I cannot find these, I suspect they may have been lost in a domestic flood a few years ago at my childhood home. Hope the photos jog a few memories. Any BBSers on them? Superhiggy, onemickybutler, John Peachy and 1 other person like this. I remember Mr Taylor and think we called him Ned. He was a good teacher, though quite strict. Didn't know he took a football team, and sorry to hear of his death so young. Brilliant photos, thank you so much. I'm the keeper on the first photo, and the lower right keeper on the second photo. I remember "Ned" very well, he helped me a lot and was a really good coach in those days. I remember he dropped me for wearing jeans to a game despite rules to the contrary - it was a lesson in respect for rules that I've never forgotten. I can also see Ken Lobley, Mr MacDonald (can't remember his first name) and Eric Goodman ("Nunk"). The 3rd photo is, I think, the year before I started, which would make it 1967. What memories! NorthernDreamer, Metatarsal, cambstyke and 1 other person like this. 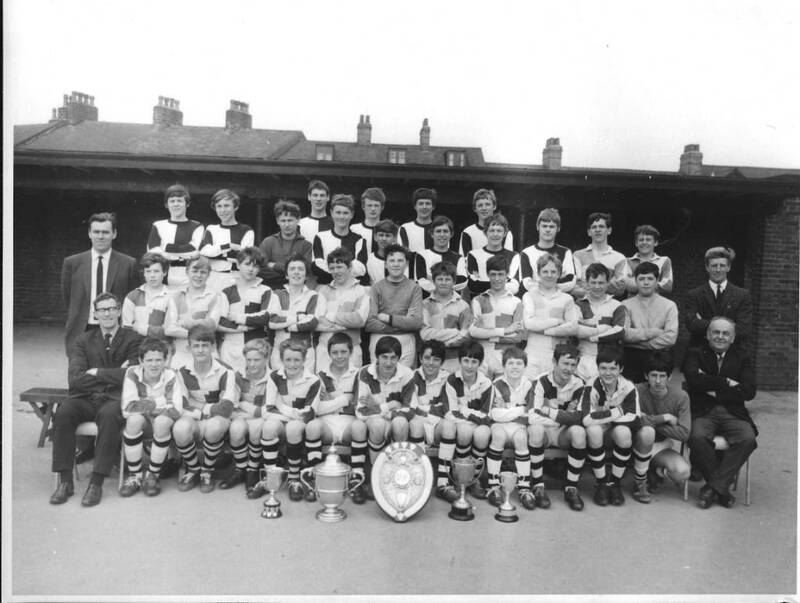 My fella went to Holgate - left in 75, I went to a proper school though - Broadway! I remember Ken Lobley and Nunk. Mr McDonald was my first form teacher. The lights are much brighter there, you can forget all your troubles, forget all your cares. But we are Holgate. Were you in the same year as me, ND? I took my 'O' levels in 1973 and my 'A' levels in 1975. Wes Hall was one of my favourite teachers and obviously inspired me, as I was Head of Economics and Business Studies at a large state school when I was 26. 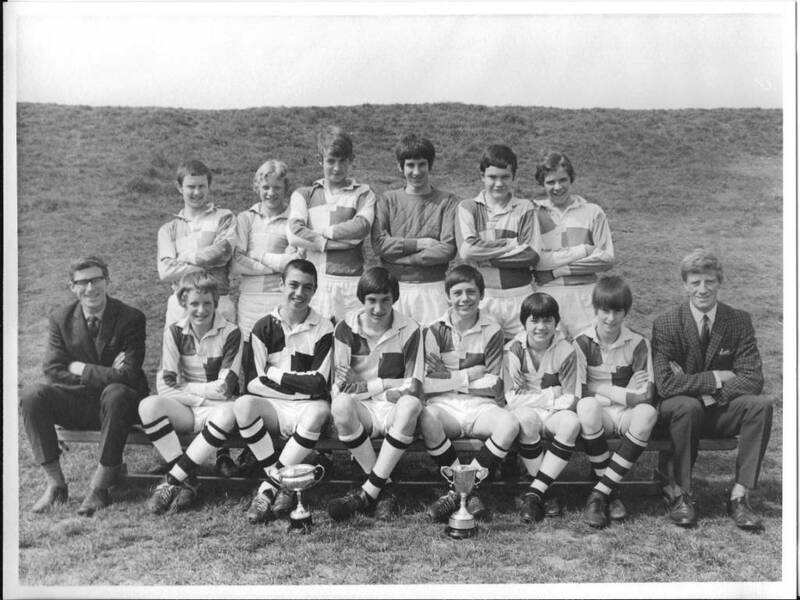 I was house captain of Lock Sadler, and was goalkeeper for the school team, winning the league and cup (at Oakwell) in the U15s. I was the year below Stahlrost. 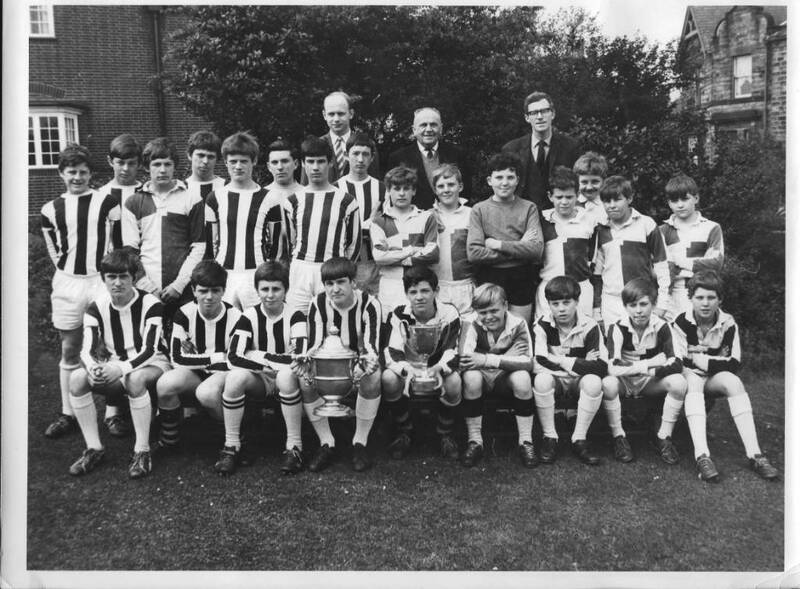 Yes, same year Stuart, same 1st form as well with Ewan McDonald as form teacher, who is still around. Are you still selling caravans? It was Ewan McDonald, and he is still fit and well and attends the School Reunion Dinner each January. Ha, you've changed your user name - I did wonder! I couldn't remember Mr MacDonald's first name. Is there an annual School Reunion Dinner? I never knew that! Are there many people from our year that attend? My user name is the same! Annual Reunion Dinner is held at Holiday Inn, Barnsley on the first Friday in January each year. Still a few from our year who attend: Martyn Brown, Ron Cooper, Kevin Cuckson, John Harper, Mick Hurp and Chris Rowlands. If you fancy attending next year I can send you the details for next year's dinner when they come through, usually in late September. cambstyke and fatalbert like this. Northern, could you be so kind and send me the Dinner details also. I suspect I will be one of the oldest there as I left aged 16 in 1964 but I'd still like to come. Do we wear name badges and dates cos that would help me a lot! Best wishes fatalbert. Will do, it will probably not be until September but I will message you as and when I receive the invitation for next January. Champion! Thanks -- do you think it will be 3rd Jan 2020 or is that a bit too near the New Year? I suspect I will be one of the oldest there as I left aged 16 in 1964 but I'd still like to come. Do we wear name badges and dates cos that would help me a lot! Best wishes fatalbert. And you'll get to meet Norman Goddard and Horace again. NorthernDreamer and fatalbert like this. Sorry, I thought your user name used to be Extremely Northern? Yes, please send me details in September regarding the Annual Dinner in January. That would be really kind. Thanks.